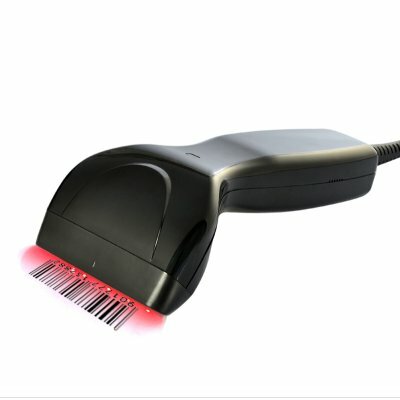 Successfully Added Handheld USB Bar Code Scanner to your Shopping Cart. If you're seeking investment protection and great value in a small light scanner that assures maximum productivity, then this product is the ideal scanner for you. This USB Bar Code Scanner helps you better organize and maintain your inventory stock. It can decode ISBN, Code128, EAN-8, EAN-13, UPC-A, UPC-E, Codabar, Interleave 2 of 5, and many others codes, allowing you to read all the industry standard bar codes off of all your products and packages. Simply connect the bar code scanner to your PC using the USB cable provided, then scan the appropriate UPC code within the instruction manual provided to set your new bar code scanner. This process takes mere minutes and you'll be able to start using you new barcode scanner right away. Also designed with the user in mind, this handheld barcode scanner comes especially shaped to be held and operated comfortably. Bar code systems provide an array of benefits, including operational efficiency, better customer service, and improved visibility of key business information to management. Information is your most valuable asset, so you need the most reliable data management systems available for your budget. Wrong information in your supply-chain or operations can create unacceptable risks, lost business and higher operating expenses. Protect your organization by ensuring data accuracy and availability. 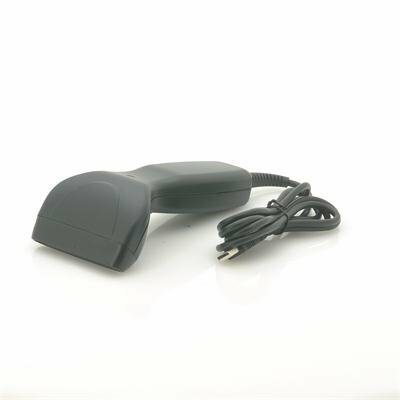 This handheld USB barcode scanner is proudly brought to you by the leaders in factory direct wholesale electronics, Chinavasion. good ! excellent ! fast ! good ! excellent ! fast ! good ! excellent ! fast ! good ! excellent ! fast ! THIS IS WHAT YOU DO---------GO TO WWW.NCH.COM AND DOWNLOAD BARILLO BARCODE MAKER. INSTALL AND OPEN. THEN CLICK ON EAN 13 at the top AND MAKE YOUR DESIRED BARCODE NUMBER UNDER THE HUGE BARCODE. WHATEVER NUMBERS YOU MAKE, JUST SAVE IT AS THE NAME OF THE PRODUCT YOU WANT TO ATTACH THE NUMBER TO. SO IF YOU WANT TO ATTACH THE BARCODE TO A BLUE SHOE, SIZE 13, THEN SAVE THE NEW NUMBERS AS BLUE SHOE S13. THATS IT. BACK TO THE BARCODE SCANNER-WHEN YOU GET YOURS, PULL OUT THE ENGLISH MANUAL AND PLUG THE SCANNER INTO YOUR COMPUTER, AFTER ITS DONE INSTALLING, OPEN THE MANUAL, POINT THE SCANNER TO THE "SCAN START OF CONFIGURATION" BARCODE AND SCAN IT, THEN SCAN "SET ALL DEFAULT", THEN SCAN "END OF CONFIGURATION, THEN SCAN PERMANENTLY SAVE THE SETTING"BARCODE. YOUR DONE. if you are selling stuff and want to use a point of sale program, just go back to nch and download their free POS program. it is absolutely free!!!!. after you have done that, open the pos program and click on "add new items to your list. when you are adding new items or products, just make sure that the item number you create matches the barcodes you created. so if you have created blue shoes s13, then make sure that your item number in the pos system is exactly the barcode numbers for blue shoe s13. email me for more detailed explanations mnosyke@live.com. it is very easy though so dont be afraid. this scanner is one of the best i have used!!!!!!!!!!!!!!!!!!!!!!!!!!!!!!!!! Très content de recevoir mon lecteur de codes à barres à un prix toujours très bas et imbatable. Expedition rapide envoyé par avion le 23/12/12 et reçu chez moi en France le 28/12/12. Je vous le recommande, vous ne serez pas déçu. petit bémol, les notices sont toujours écris en anglais.